Srinagar: The pony-wallahs in Gulmarg, who used to once earn a meagre Rs 200 a day, now make about Rs 2,500 on an average by shifting to ATV’s and snowmobiles. The change in the economic condition has also socially uplifted the community. The government played a positive role. In 2011, the then Omar Abdullah-led NC-Congress establishment, provided Rs 4 lakh as incentive to the pony-wallahs ready to move to ATV’s, under the government’s Tourism Incentive Scheme (TIC). “We are not only catering to the livelihood of about 600-700 people in Gulmarg, but also contribution to the tourism industry. The model was successful. 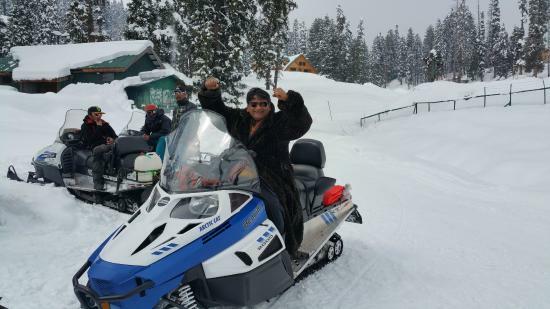 But instead of replicating it in other resorts, the whole deal was shut down without any reason,” says Ufair Ajaz Kitab, Vice President, Marketing and Business Development, Kashmir Motors. Kitab was the first to introduce the concept of snow-bikes in Kashmir, and pitched the idea to the government. However, when it was the time was to expand this initiative to areas like Sonmarg, Pahalgam, Manasbal, Doodh Patri, Yusmarg the Tasadduq Mufti-led Tourism Ministry instead chose to scrap the scheme. In March 2018, the brother of Former CM Mehbooba Mufti decided not to continue the scheme. Mufti, reportedly reasoned that the scrapping of scheme was because “snow-bikes weren’t environmentally friendly and created pollution”. Eventually, no more licenses are now being issued to the operators to expand in other resorts of the valley. Kitab however says that the scheme was scrapped because it did not make any money for the government or the influential contractors. Speaking to Free Press Kashmir, Irshad Wani, one of the operators, said that Sonmarg Development Authority (SDA) demanded Rs 50,000 as a ‘security deposit’ from every operator in the area. There are about 15 snowmobiles that currently run in Sonmarg. “We are okay if they want us to pay Rs 3,000 land-charge in advance, but from where would we pay Rs 50,000 deposit?” Wani asks. Director Nisar Wani however could not be reached. Kitab further says that only about 22-25 ATV operators were actually paid Rs 4 lakh, out of about 60 odd. “All the snow-bikes operating in Gulmarg are under certified pollution norms. Many bikes are imported from countries like America and Switzerland, and they all have passed through the custom norms before entering India,” he says. The Development Authority of the concerned areas has presently stopped issuing any further licenses to the operators. While tourism remains affected, many pony-wallahs ‘expect the government to not play spoilsport if it cannot help’. As livelihood of thousands remains caught between clearance and subsequent scrapping of schemes and red-tapism, the future does not look very bright for the industry unless drastic steps are taken.